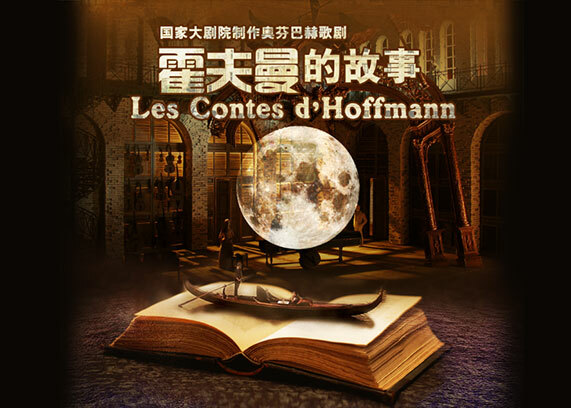 Les Contes d'Hoffmann is the last work of light opera master Jacques Offenbach, also one of his most famous opera compositions. The prototype of the hero is German writer and poet E.T.A Hoffmann, which tells a fantastic love story of Huffman and three women. Hoffmann experiences romantic loves, but each love ends with tragedy, repeated blows make the poet lack enthusiasm for love, and devotes himself to art and poetry. 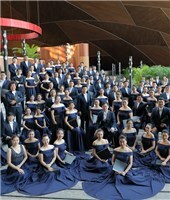 The music can be hailed as brilliant, including coloratura aria The Doll Song and the romantic and wonderful Barcarolle. This masterpiece also reaches an unprecedented height in art, featuring romantic and fantastic stage set and stunning audio-visual feast. 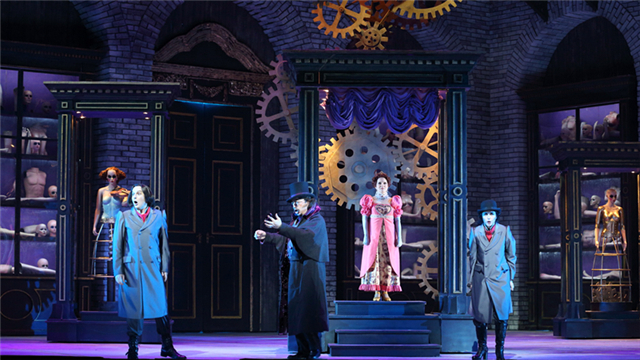 The NCPA production of Les Contes d'Hoffmann is another French opera masterpiece produced by world-acclaimed opera director Francesca Zambello and set designer Peter J. Davison, marking their return after the NCPA production of Carmen. 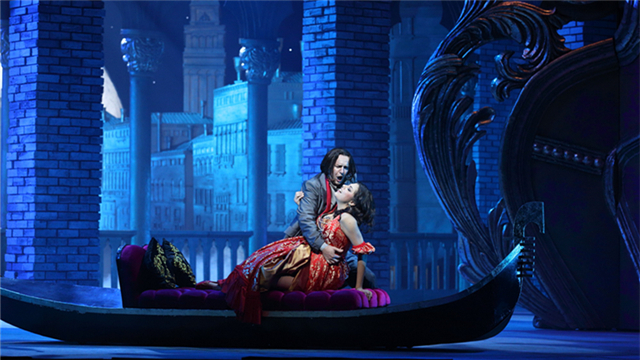 Stunning and fantastic stage design brings the audience to several romantic countries; unusual clothes highlighting the collision of classical and modern art tell the romantic and tortured love stories. Poet Hoffmann sits in the Luther Pub beside the Nuremberg Opera House where Don Giovanni starring his adored female star Stella is being staged. The drunken poet tells three love experiences to his students. The first love involves mechanical baby Olympia, the second one Antonia, a sick girl keen on singing, and the third Venetian party girl Giulietta. Due to the obstruction of bad Lindorf and his avatar, the three loves end up with tragedy. Poet's friend Nicklausse is the avatar of Muse, who persuades Hoffmann to concentrate on writing and not to be addicted to love. Hoffmann finishes the three stories. 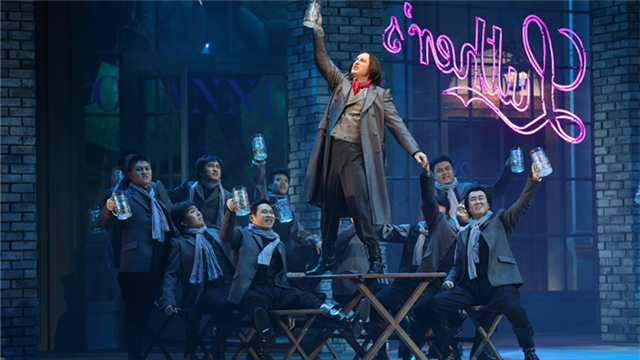 When the opera performance has been over, the drunken Hoffmann is in a coma. His rival Lindorf takes the opportunity and steals Stella's heart. In the end, Hoffmann once again loses his beloved woman, and has no choice but to express the thoughts and feelings in his poems. An internationally recognized director of opera and theater, Francesca Zambello's American debut took place at the Houston Grand Opera with a production of Fidelio in 1984. She debuted in Europe at Teatro la Fenice in Venice with Beatrice di Tenda in 1987 and has since staged new productions at major theaters and opera houses in Europe and the USA. Collaborating with outstanding artists and designers and promoting emerging talent, she takes a special interest in new music theater works, innovative productions, and in producing theater and opera for wider audiences. 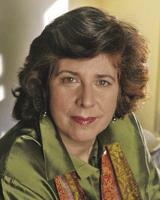 Francesca Zambello has recently been awarded the Chevalier des Arts et des Lettres by the French government for her contribution to French culture and the Russian Federation's medal for Service to Culture. Other honors for her work include three Olivier Awards from the London Society of Theaters and two Evening Standard Awards for Best Musical and Best Opera. She has also received the award for Best Company Achievement. The French Grand Prix des Critiques was awarded to her twice for her work at the Paris Opera. Other awards include Best Production in Japan, the Palme d'Or in Germany, the Golden Mask in Russia and the Helpmann Award in Australia. Opera works in recent seasons have included the world premiere of An American Tragedy, Cyrano and Les Troyens for the Metropolitan Opera, Porgy and Bess and Die Walküre for the Washington Opera, La Bohème at the Royal Albert Hall; Fiery Angel for the Bolshoi, Salome for Chicago Lyric Opera, Carmen and Don Giovanni at the Royal Opera House and Boris Godunov, War and Peace, Billy Budd and William Tell at the Paris Opera. Opera: Spiral (Beijing), Heart of a Soldier (San Francisco Opera), Le Nozze di Figaro (Vienna); Die Gezeichneten, Falstaff and Die Schweigsame Frau (Zurich); Capriccio (Berlin and Torino); Der Rosenkavalier, Carmen (ENO); Anna Bolena (Bayerische Staatsoper); Katya Kabanova (New Zealand); Mitridate Re Di Ponto (Salzburg); Manon Lescaut (Australia); The Rake's Progress, Le Nozze di Figaro (Met); Cyrano de Bergerac (ROH, La Scale, Met) The Queen of Spades (ROH); Guillaume Tell (Opera Bastille); Fidelio, Walküre Porgy and Bess, Salome (Washington); La Boheme (Royal Albert Hall), La Rondine (La Fenice); Carmen (Beijing). Theatre: The White Devil, Don Carlos (RSC); Copenhagen, Democracy, Afterlife (National Theatre); Medea, Hamlet, Deuce, Is he Dead? and Blithe Spirit (Broadway). Musicals: Boy form Oz (Sydney), Jesus Christ Superstar (UK/USA Tour, Broadway), Showboat (Royal Albert Hall), Rebecca (Vienna and St Gallen), Marie Antoinette (Bremen). Charles graduated with a BA(Hons) in Theatre Design from Central St. Martin's College of Art and Design . 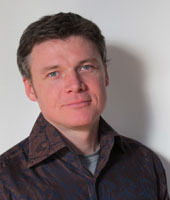 He has worked on over 60 professional productions in the fields of Opera, Musicals, Ballet and Theatre. As assistant and associate designer, notable productions include The Boy from Oz (Sydney), Whistle Down the Wind (West End), Jesus Christ Superstar (UK Tour/Broadway/Film) all with director Gale Edwards. 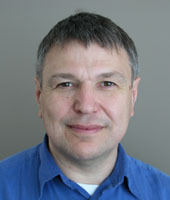 For the Royal National Theatre, his works include Copenhagen, The History Boys, Aristocrats and Afterlife. For Disney, Aladdin (California Adventure), Mary Poppins (West End/Broadway and Tour), Tarzan (Broadway and Germany), Aida (Munich and German Tour). Opera credits include Macbeth (La Scala, Milan), William Tell (Vienna State Opera and Bastille, Paris), The Queen of Spades (Royal Opera House, London), Porgy and Bess (Washington Opera), Kata Kabanova and La Rondine (La Fenice, Venice), Showboat (Royal Albert Hall) and Rebecca-Das Musical (Vienna, Austria, Germany and Broadway). He has been co-designer in Spiral Show (Haitang Bay Theatre, Sanya, China). As designer, Charles'work includes set and costume designs for Company, Cabaret and A Chorus Line all for the Royal Academy of Music, London. Les Miserables (Denmark Tour). Is There Life After High School? (Time Out Critics Choice), The House of Bernarda Alba, The Wild Party and RENT, all for the Bridewell Theatre, London. Set designs for Oedipus Rex and Cleopatra (Marinsky Opera in Graz, Austria) and costume designs for Les Saisons (Royal Ballet, Royal Opera House, London). Court Watson is a New York City based Set and Costume Designer. His design credits include Annie Get Your Gun and Blizzard at Marblehead Neck (Glimmerglass Festival, directed by Francesca Zambello), All's Well that Ends Well(Shakespeare Theatre, directed by Michael Kahn), Jekyll & Hyde and West Side Story Magdeburg, Germany). Court has been an Assistant Designer on several Broadway shows, including Guys & Dolls, Grease!, Lestat, Little Women, The Coast of Utopia, Cry*Baby, South Pacific, Mauritius and High Fidelity working with Paul Tazewell, Derek McLane, Catherine Zuber, and Anna Louizos. In the fall of 2007, he was the Associate Set Designer on Ich war noch niemals in New York at the Operettenhaus in Hamburg, Germany for Stage Entertainment. Court has been a Guest Designer on ABC Television's All My Children and One Life to Live. He spent four seasons at The Lost Colony in Manteo, North Carolina. Court is a two-time First Place winner at the Southeastern Theatre Conference and won the Barbizon Prize at the Kennedy Center/ American College Theatre Festival. His watercolors are in private collections throughout the United States, United Kingdom, Germany, Austria, and Switzerland, and have been exhibited in New York's Leslie-Lohman Gallery, and were published in E. Gibbons' 100 Artists of the Male Figure. Court holds an Master's of Fine Arts degree from New York University and a Bachelor of Fine Arts from Virginia Commonwealth University. He is a member of United Scenic Artists Local 829. One of the leading Choreographers worldwide, Denni's recent and future work includes Don Giovanni (Glyndebourne), Ibsen's Emperor and Galilean (Royal National Theatre), Sweeney Todd (Chichester Festival and Adelphi Theatre), Der fliegende Holländer (ENO) and Private Lives (Chichester), all with Jonathan Kent; Les Contes d’Hoffmann (Beijing) with Francesca Zambello, Don Carlos (Houston)with John Caird, Elektra (Salzburg), Parsifal (ENO),Der fliegende Holländer (Los Angeles Opera) and Salome (Baden Baden) with Nikolaus Lehnhoff. 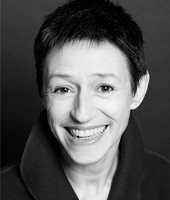 She has choreographed for Oedipus (Royal National Theatre) and Die Frau ohne Schatten (St Petersburg) with Jonathan Kent; Cyrano de Bergerac, Carmen, Paul Bunyan and The Bartered Bride (The Royal Opera House, Covent Garden), Boris Godunov (English National Opera), Rebecca (Vienna), Arshak II (San Francisco), Peter Grimes (Amsterdam), Boris Godunov and War and Peace (Bastille), Porgy and Bess (Washington), L'Amour des Trois Oranges and Carmen(Sydney), The Little Prince (Houston, Milwaukee, Boston and BBC TV), and Of Mice and Men (Bregenz), Carmen (Oslo), Porgy and Bess (Chicago and San Francisco) - all with Francesca Zambello; La Fanciulla del West (Amsterdam), Parsifal (English National Opera, San Francisco and Chicago), Der fliegende Holl？nder (San Francisco), Lohengrin and Eugene Onegin (Baden Baden), Die Meistersinger von Nürnberg (Zürich), Henze,s Boulevard Solitude (ROH and Genova), Die Gezeichneten (Salzburg), Fidelio (Salzburg and Lyon), Turandot (Amsterdam), Rigoletto (Dresden) and The Bartered Bride (Glyndebourne) - all with Nikolaus Lehnhoff; Der Vogelhandler (Berlin/ Danny Slater); Sweeney Todd (Chicago), Ariadne auf Naxos and Don Carlos (Welsh National Opera), A Midsummer Night's Dream (Houston), Peter Grimes (Sydney) - all with Neil Armfield; Pirates of Penzance (Chicago/ Elijah Moshinsky); Aida (WNO/ John Caird); and The Bassarids (Amsterdam/ Peter Stein). 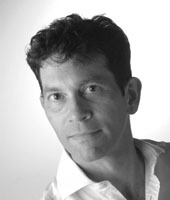 Mark McCullough maintains a highly successful career with opera and theater companies in the United States and abroad. He has lit productions for the Metropolitan Opera (The Marriage of Figaro), La Scala (Cyrano de Bergerac), Madrid's Teatro Real (Luisa Miller), Strasbourg's Opéra National du Rhin (The Beggar's Opera), The Royal Opera House, Covent Garden (The Queen of Spades), Opera North (Eugene Onegin), The Dallas Opera (Tobias Picker’s Thérèse Raquin/world premiere), as well as productions with Boston Lyric Opera, Washington National Opera, Glimmerglass Opera, New York City Opera, Seattle Opera and San Francisco Opera including the full Ring Cycle directed by Francesca Zambella. Among his successes in theater have been the Broadway productions of Jesus Christ Superstar (revival); the Roundabout Theatre Company's After Ms. Julie; Manhattan Theatre Club's The American Plan and the upcoming production of the new musical Rebecca. 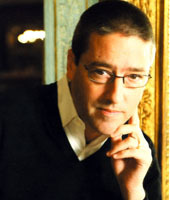 McCullough's work has also been seen Off-Broadway and in regional theater companies nationwide in the United States including the Shakespeare Theatre; Court Theatre; La Jolla Playhouse; Mark Taper Forum; Long Wharf; Hartford Stage; The Old Globe; Oregon Shakespeare Theatre; The Guthrie Theatre; Steppenwolf and Center Stage. His international theatre credits include the West End production of Whistle Down the Wind (Aldwych Theatre, London); the UK tour of Jesus Christ Superstar; numerous productions at the Royal Shakespeare Company and the Gate Theatre. 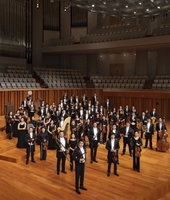 Upcoming engagements include La Traviata at the Bolshoi Theatre, Russia and The Tales of Hoffmann at the National Centre for the Performing Arts (NCPA) in Beijing. The American designer is an alumnus of the North Carolina School of the Arts and holds a Master of Fine Arts degree from the Yale School of Drama. 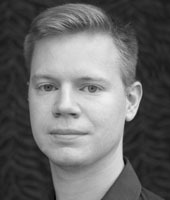 Born in San Francisco, Duncan trained from a young age in dance, music and theatre. Subsequently he studied at California's first High School of the Performing Arts, University of California at Berkeley, MUDRA/Belgium and the Royal Conservatory of Music in Brussels. He holds degrees in Dance/Theatre/Music, Computer Science, Psychology and Philosophy. A renowned dance teacher and mentor, he has choreographed over 100 works for the stage for dance, theatre and opera companies throughout Europe, North America, Austral-asia and Asia. He has served as a member of Faculty at Costa Mesa Collage, MUDRA/Brussels, University of California at Berkeley, Laban Centre for Movement and Dance and London Contemporary Dance School.